While you may recognize most of the common video formats such as MP4, AVI or MKV and have little or no trouble playing them on all your devices – what about less popular formats such as MOD, VOB, or WTV. Although computers can be a bit flexible when it comes to these formats, most other platforms such as mobile devices, set-top boxes and DVD players are not. Honestly even if it is your first time using Movavi Video Converter it will be readily apparent what you need to do to convert videos due to its clean and intuitive interface. All it involves is adding the video and choosing a format from where they are neatly categorized into tabs. For example, if you want to convert MOD to MP4 you would just add the MOD video and select MP4 from the list of formats. 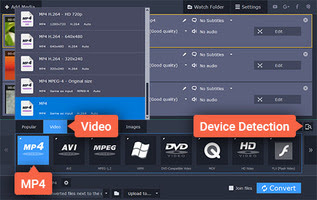 Arguably the biggest advantage of using Movavi Video Converter however is its extensive library of presets. Each preset is designed to automatically use the best possible video format and settings for a specific device or platform, so even if you aren’t sure which format is compatible you can just rely on them instead. Considering there are hundreds of presets available that cover mobile devices, online video sharing platforms and social media, you should easily find one that fits. Aside from making it so easy to convert videos into precisely the right format, Movavi Video Converter can also convert other types of media files – such as images and audio files. That opens up a number of additional possibilities, such as being able to create animated GIFs out of video clips, extract audio tracks from videos, or grab screenshots. 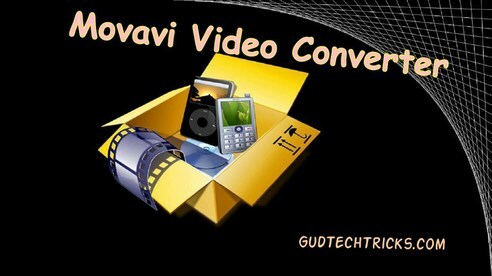 In fact you could even edit your videos within Movavi Video Converter itself with the basic tools that it provides. That includes cutting and combining video segments, improving the video quality, fixing common issues, inserting customizable text, or cropping and rotating its frame. All in all the scope of Movavi Video Converter is a big part of what makes it so useful. It can handle far more than your average video converter, and will give you a range of options that you can use to your advantage. On the other hand if you’re really only interested in converting videos, the simple yet effective approach it uses will still make it worth trying out.